Be a part of the rapidly growing $17 billion Wellness and Spa industry. Everybody is looking for ways to relax and be pampered to help reduce the stress of their everyday lives. This industry has been dominated by expensive destination spas and laser-focused single service concepts — UNTIL NOW. At Sirius Day Spa our goal is simple — provide all of those luxurious spa services that everyone desires, under one roof, in convenient locations at affordable rates. Our unique membership model encourages our members to take advantage of different services every time they visit. When our members try new services, they are more likely to receive multiple services each month, increasing franchise revenue. The beauty of the recurring revenue business is that future months' revenue is much easier to forecast. Now is the time to become part of this industry’s game changer by becoming a Sirius Day Spa franchisee. Bring the luxury day spa experience to the masses. 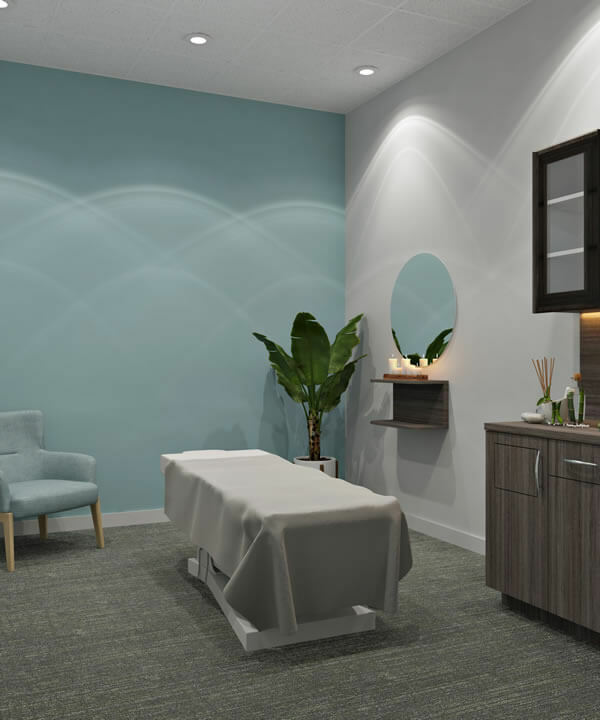 New concepts continue to launch that specialize in single service offerings like massage, waxing, nails, hair, and much more. Sirius Day Spa will become the market leader by combining this large breadth of services under one roof, in convenient neighborhood locations. Guests will no longer need to have memberships at several different locations to achieve the pampering and relaxation they need and desire. With the Sirius Day Spa membership, members can use their membership dollars on any service they wish, every month. Sirius Day Spa’s goal is to allow for our guests to quit paying hundreds of dollars in monthly fees at multiple locations, and instead, have one convenient, simple, and affordable membership. Multiple Revenue Streams – Our business allows for our franchisees to receive revenue from multiple streams. From introductory offers on services, to membership dues, to retail products and gift cards, our franchisees have the opportunity to capitalize on every person that walks through our spa doors. Unique Membership – Sirius Day Spa has a unique membership that caters to our customers. We know that our members want to experience and enjoy multiple services at the best value for their dollar. Our membership applies a dollar-for-dollar credit to the member’s account for any service they choose at a discounted member rate. This encourages spending above the membership fee due to the convenience of having a myriad of services in one location at a competitive price. Simple Membership Sale – When you talk about a membership model, sales conversion is always a topic of discussion. Since our membership provides a dollar-for-dollar credit for our guests to use on any service and is also an appealing month-to-month term, the membership sale is rather simple. The real beneﬁt to the customer for signing up is to receive discounts of 30% or more on all services. Build Out assistance with our detailed Speciﬁcations Book and step-by-step Guide-to-Open. World-Class Training will be provided by our friendly team of educators to prepare you to operate your spa whether it be your ﬁrst business or tenth. Strong Relationships with qualiﬁed suppliers and vendors will allow for consistency of products and management of costs. 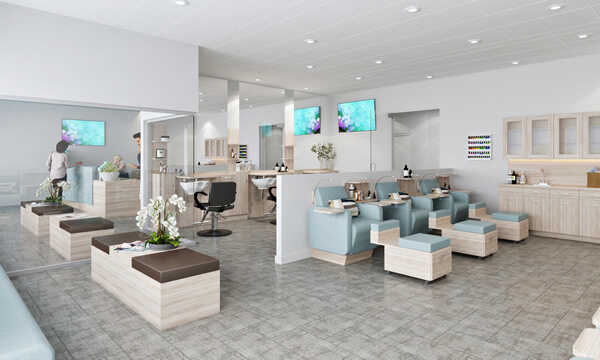 Marketing plans will be developed and customized for each franchise in accordance with the corporate office to ensure that your spa is ready to go to market with a bang. Ongoing Assistance is key and with your Regional Developer and corporate teams, there will always be somebody there to answer your questions and hold your hand when you need the extra help. Sirius Day Spa looks for people with high business acumen and management skills. Franchisees must manage an entire team from spa directors, spa coordinators, estheticians, massage therapists, nail technicians and cosmetologists. The common saying in franchising is that a franchisee will be as successful as they try to be. Owning your own business requires a lot of work and therefore Sirius Day Spa looks for those people who have the drive to succeed.